You went to the butcher for your meat and your milk was delivered from the milkman. Gas was just $.22 PER GALLON and a trip to the movies would cost you $.70. A new home was $10,000 and a new car for the garage was just $1700. A McDonalds Hamburger was $.15, a coca cola was $.05 (of course it was in a bottle), a 24-pack of Budweiser was just under $3 and a child’s ticket to the most magical place on earth was only $.35 CENTS (it’s $80 today)! Eisenhower was president. 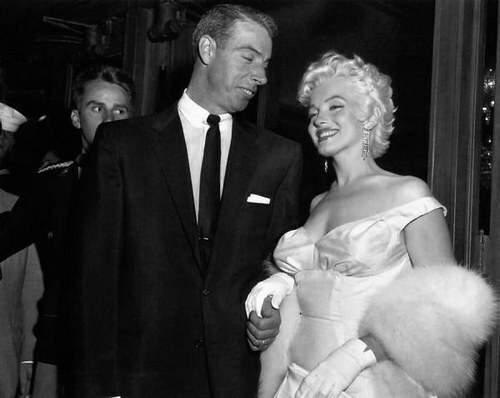 Marylyn Monroe and baseball star Joe DiMaggio were married, and divorced, in 1954. Elvis Presley paid $4 to a Memphis studio & recorded his 1st two songs. 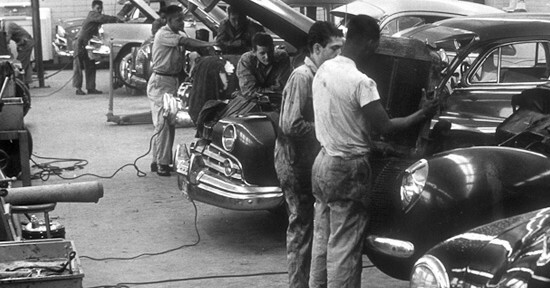 The Supreme Court unanimously banned racial segregation in public schools. Braves’ Bobby Thomason broke his ankle and was replaced by Hank Aaron. Audrey Hepburn won best actress and From Here to Eternity won best film. The Lord of The Rings and The Lord of The Flies both hit the newsstand. SOMETHING ELSE SIGNIFICANT HAPPENED IN 1954. EAGLE EQUIPMENT BEGAN SELLING EQUIPMENT. Out of a traveling tool truck,EAGLE EQUIPMENT made it’s way from NY to Massachusetts and in between selling tools and equipment to body shops and repair shops. Over the past 60 years, Eagle Equipment has become a part of the Standard Tools and Equipment Co. brand, moved on down south to Greensboro, North Carolina and has become a leading automotive equipment source for the repair industry. Watch the Standard Tools YouTube video to see our story. Pretty soon we expanded our tool truck business nationwide via mail-ordered CATALOGS. Eagle Equipment expanded even further when we developed our FIRST E-COMMERCE WEB SITE at the beginning of the Internet (which we used to refer to as AOL. 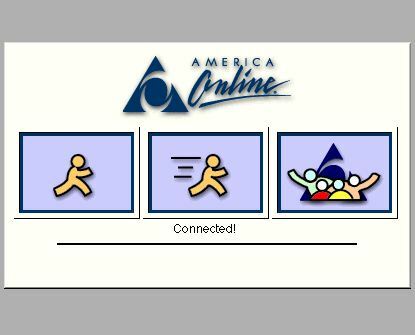 Remember when you had to have an install disk and then wait for it to dial up?). 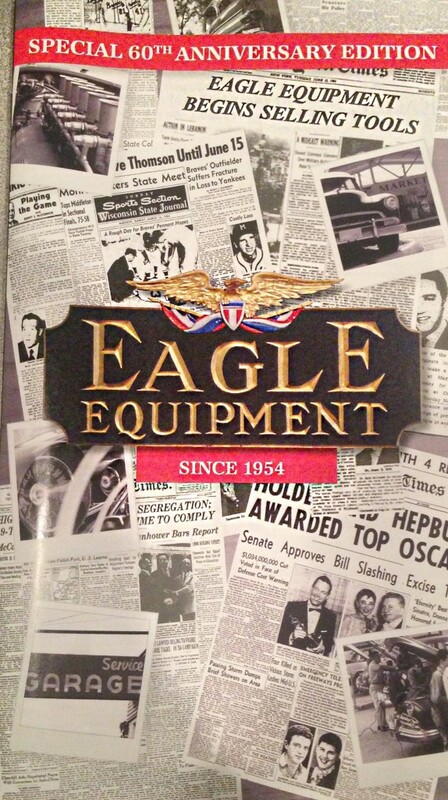 Over the past 60 YEARS, we have become a leading catalog and Internet seller of automotive shop equipment because of the KNOWLEDGE we have in the industry, the TRUST that the Eagle brand has earned and the LOYALTY of the customers we serve. We stand behind our products and our customers. We chose to celebrate our 60TH ANNIVERSARY WITH A SPECIAL EDITION CATALOG COVER. We hope you enjoy your special catalog edition when it arrives in your mailbox this week. Not signed up to get our catalogs? Why not? Sign up now. A lot of things have changed in the past 60 years. But one thing that continues to strengthen is the passion we have for this industry and the love we have for our customers. 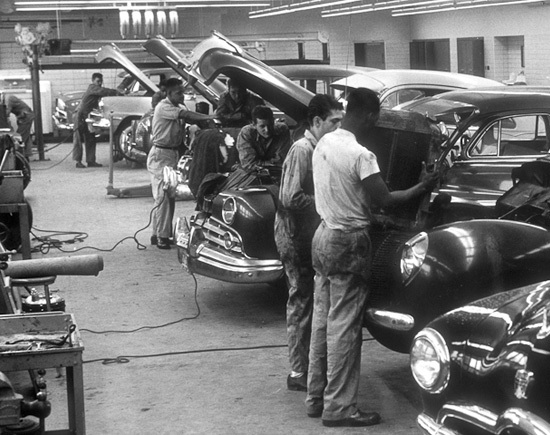 Thank you for being a part of our history and a continued customer in our future. Here’s to 60 more. Next Next post: Outdoor Car Lifts: Can You Do It?